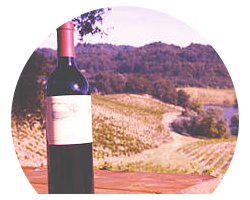 California is home to some of the Western Hemisphere's most celebrated and well recognized wine. California wine production accounts for almost 90 percent of all American wine production. Within California, there are many wine producing regions. These regions are located all over California. In the San Francisco Bay area, we are fortunate enough to be located close to many of these different wine producing regions. Today Napa Valley features more than four hundred wineries, makes 4% of California wine and grows many different grape varieties including Cabernet Sauvignon, Chardonnay, Merlot, Zinfandel, and other popular varietals. Napa Valley is visited by as many as five million people each year. Sonoma County is an additional top destination in California Wine Country. Sonoma is home to almost every type of grape grown in California: Alexander Valley shines at Cabernet Sauvignon production, Dry Creek Valley is home to some of California's oldest Zinfandel vines, and the Russian River Valley produces top-quality Pinot Noir and Chardonnay. Our days spent cycling through these region offer a plethora of opportunities to taste unique and exquisite wines. To allow ample time to tour the island, guests will go to Alcatraz on the day following their wine tour. Both tours are not on the same day. The wine tour is a full day tour and does not allow for time to tour Alcatraz. When booking, select the day for your wine country tour. The Alcatraz tour will be scheduled on the day following. Alcatraz Cruises is a concessionaire of the National Park Service. An hour’s drive away from San Francisco, is California’s infamous wine country. Our tours visit both Napa and Sonoma counties. 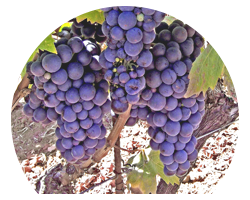 California wine and grows many different grape varieties including Cabernet Sauvignon, Chardonnay, Merlot, Zinfandel, and other popular varietals. Sonoma County is an additional top destination in California Wine Country. Sonoma is home to almost every type of grape grown in California: Alexander Valley shines at Cabernet Sauvignon production, Dry Creek Valley is home to some of California’s oldest Zinfandel vines, and the Russian River Valley produces top-quality Pinot Noir and Chardonnay. Our days spent cycling through these region offer a plethora of opportunities to taste unique and exquisite wines. This Alcatraz Island & Gears and Grapes Tour Combo is the perfect total experience! Enjoy the best of wine country– choose from a tour to Napa or Sonoma Counties and get your ticket to see the ROCK! The combo price includes a full day tour to bike through wine country and taste wine, as well as a ticket to Alcatraz to see the ROCK, a$37 value. The wine tour does not however take you to Alcatraz. The combo tickets are for people interested in both tours and want to purchase a ticket for each tour. Our full day trips to wine country include pick up and drop off in San Francisco. Leaving San Francisco at 9am, a shuttle will take you to wine country. Once there, we will set you up on bikes and your guide will lead you from winery to winery. We stop for a delicious picnic lunch amid the vineyards. A shuttle will follow the group to carry any purchases or assist any riders who decide they would rather be driven. The total mileage ranges between 10 and 15 miles (20-30 minutes of leisure cycling between wineries). Biking the whole way is optional. At any point, guests may choose to ride in the shuttle. We return to the city at around 6pm. Please note that for security purposes all guests are required to present a government issued photo ID before being admitted onto the Alcatraz ferry. Minors under the age of 18 are not permitted to tour Alcatraz Island without the accompaniment of an adult. An adult must be present with any minor at all times during the tour of Alcatraz Island. considered one of the top American Viticultural Areas in California, and all of the United States, with a history dating back to the early nineteenth century. advisor’s Travelers choice awards awarded Napa Valley as “The World’s Best Wine and Food Destination”. It is also internationally recognized as one of only nine Great Wine Capitals on earth. Below is a list of the wineries we frequently visit. This is not a guarantee that these will be your stops during your visit. Our day trips include pick up and drop off in San Francisco. Leaving San Francisco at 9:15am, a shuttle will take you to Napa. Napa is known for its grandiose and chateau like wineries. It is very regal and elegant in style. Once there, we will set you up on bikes and your guide will lead you from winery to winery. We stop for a delicious picnic lunch amongst the vineyards. A shuttle will follow the group to carry any purchases or assist any riders who decide they would rather be driven. The total mileage ranges between 10 and 15 miles (20-30 minutes of leisure cycling between wineries). Biking the whole way is optional. At any point, guests may choose to ride in the shuttle. We return to the city at around 6pm. Sonoma County is an additional top destination in California Wine Country. Sonoma is home to almost every type of grape grown in California: Alexander Valley shines at Cabernet Sauvignon production, Dry Creek Valley is home to some of California’s oldest Zinfandel vines, and the Russian River Valley produces top-quality Pinot Noir and Chardonnay. Our days spent cycling through these region offer a plethora of opportunities to taste unique and exquisite wines. The Russian River consists of vast vineyards, rolling hills, and intimate family owned and operated wineries. Whilst visiting the Russian River, we stop at some of the following wineries. This list is not a guarantee that these will be your stops — our itinerary is subject to change. Our day trips include pick up and drop off in San Francisco. Leaving San Francisco at 9am, a shuttle will take you to the Russian River Valley. 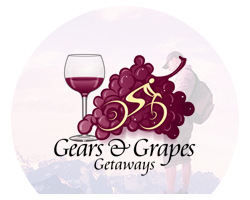 Once there, we will set you up on bikes and your guide will lead you from winery to winery. The terrain in the Russian River does include more rolling hills than the other wine regions. Participants should be prepared. We stop for a delicious picnic lunch amongst the vineyards. A shuttle will follow the group to carry any purchases or assist any riders who decide they would rather be driven. The total mileage ranges between 10 and 15 miles (20-30 minutes of leisure cycling between wineries). Biking the whole way is optional. At any point, guests may choose to ride in the shuttle. We return to the city at around 6pm. Sonoma County is an additional top destination in California Wine Country. Sonoma is home to almost every type of grape grown in California: Dry Creek Valley is home to some of California’s oldest Zinfandel vines while simultaneously having a large portion of vineyards dedicated to cultivation of Sauvignon Blanc. Our day trips include pick up and drop off in San Francisco. Leaving San Francisco at 9am, a shuttle will take you to Dry Creek Valley. Dry Creek is known for its rustic and quaint atmosphere with smaller, family owned and operated wineries. Once there, we will set you up on bikes and your guide will lead you from winery to winery. We stop for a delicious picnic lunch amongst the vineyards. A shuttle will follow the group to carry any purchases or assist any riders who decide they would rather be driven. The total mileage ranges between 10 and 15 miles (20-30 minutes of leisure cycling between wineries). Biking the whole way is optional. At any point, guests may choose to ride in the shuttle. We return to the city at around 6pm. Let the wineries come to you! Did you know that there are wineries in San Francisco? They truck the grapes here so that you don’t have to go anywhere. Enjoy some of Napa, Sonoma and the Santa Cruz mountains finest varietals right here in town at the wineries and crush pads where they make the wine. Skip the hour drive. Departures vary depending on demand so please inquire. Tours depart at 2pm and operates daily. Max group size is 12 people. Spots fill up quickly so please call ahead to reserve your space (415) 484-1238. Tour lasts 3-3.5 hours and departs from our office at 719 Commercial Street, SF.